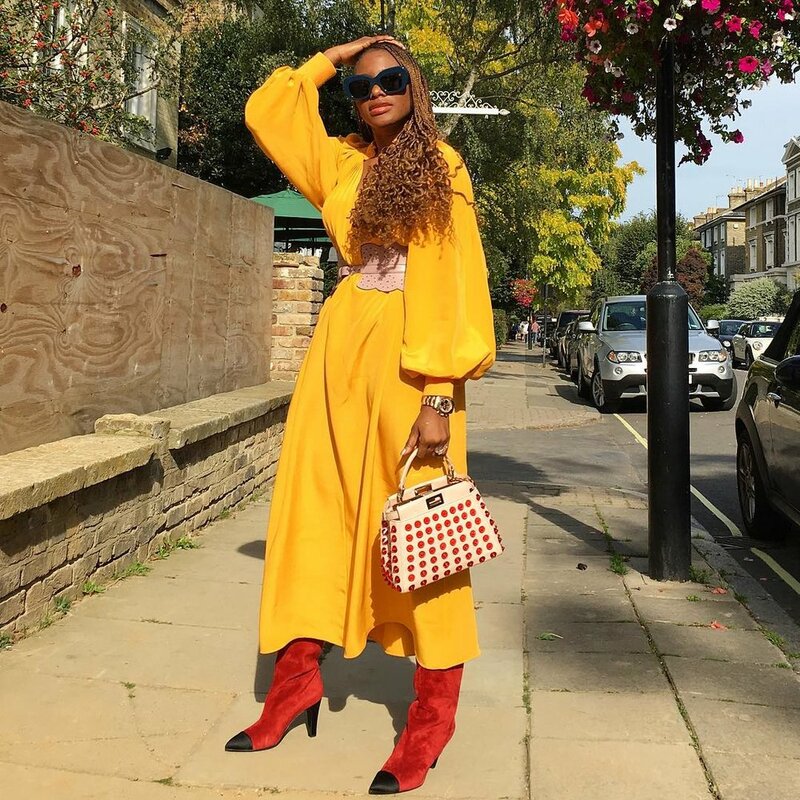 A lawyer by trade, self-taught Nigerian fashion designer Lisa Folawiyo started her eponymous womenswear and accessories label in 2005. Since then her global remix on traditional African prints has caught the attention of an international audience. She stays true to her roots by producing her designs with Ankara textiles of West Africa. Folawiyo has explained her choice to exclusively use the wax-resistant fabrics, as a matter of heritage. “Our mothers, grandmothers and probably great-grandmothers have worn this fabric,” Folawiyo tells the BBC. Empowering her community and her homeland, Folawiyo’s line is handsewn by expert artisans in Nigeria. Aside from her contemporary spin on fabric of historical significance, Folawiyo’s keen attention to tailoring, fit and embellishment sets her apart from other brands. In fact, each piece has been known to take on average 240 hours to produce. That superior quality has attracted a number of celebrity patrons, including Lupita Nyong’o, Lucy Liu, Thandie Newton and Nollywood stars Rita Dominic and Stephanie Okereke Linus. “Fashion in Lagos, and Nigeria as a whole, is and will always be a huge part of our culture and identity. . . And through fashion design, I have been given a wonderful platform to tell my stories to the rest of the world,” she tells Vogue.